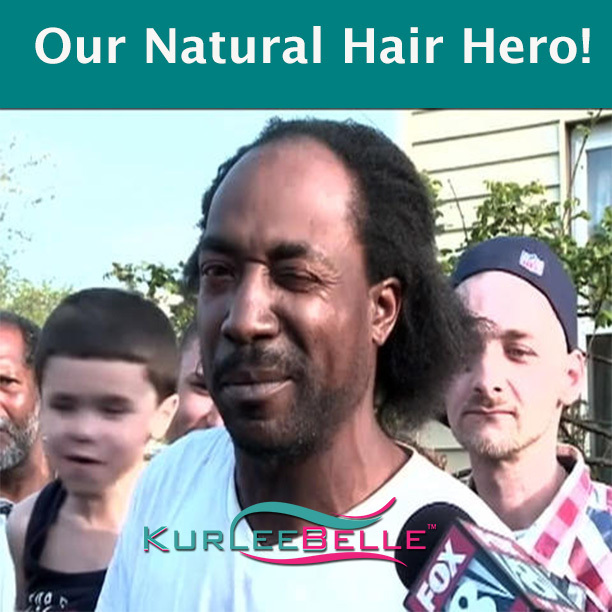 Kurlee Belle: Charles Ramsey Our Natural Hair Hero! Charles Ramsey, the Cleveland man who helped Amanda Berry escape, has become an overnight internet sensation. Although there is a lot of controversy surrounding whether Charles is a hero or not, we certainly think he is. Many people would have turned a blind eye or went about their business when faced with helping a person in distress, but Charles made it his business to lend a helping hand. Yes he is funny. Yes he has a Natural Hair Mullet. But there is no mistaking that he is brave. Like any superhero, Charles assessed the situation and took action. In an interview with Anderson Cooper, Charles Ramsey stated that he doesn't think of himself as a hero just as a Christian. An American. A person who bleeds the same blood. And puts his pants on the same way. The funny thing is, that is what a hero is. A hero is an ordinary person who performs an extraordinary act. Charles Ramsey is now a social media meme. With several instagram quotes floating around with the hashtag #charlesramsey. For us, it is refreshing to see a black man of Charles's profile being recognized for lending a helping hand to his neighbors. "I knew something was wrong when a little, pretty white girl ran into a black man's arms. Something is wrong here. Dead giveaway." "I'm eating my McDonald's. I come outside. I see this girl going nuts trying to get out of a house." If you have grown up in the black community, chances are you know a Charles Ramsey. He may not be dressed to the nines but he is funny, nice and honest. Whether America wants to laugh at Charles or not, we applaud his heroism. He is our Natural Hair Hero!